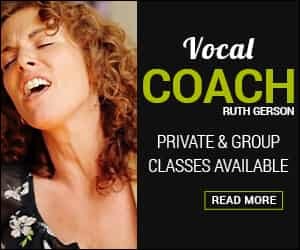 One of the top vocal coaches in NYC for many years, Ruth Gerson has taught voice, songwriting and performance at Princeton University. She currently runs San Francisco Vocal Coaching and also teaches at Blue Bear School of Musicand The Music Center in San Francisco. As an independent artist, Gerson has appeared on “Late Night with Conan O’Brien,” “The Late, Late Show with Craig Ferguson,” the entertainment news show “Extra,” PBS, Showtime, HBO and Lifetime television. She has performed at the Newport Folk Festival, New Orleans Jazz & Heritage, High Sierra Music Fests and many more. Her career has included vocals on many popular jingles, as well as back-up vocals/keyboards for Gloria Gaynor. Her latest album Deceived is produced by five time Grammy winner, Rick Chertoff and William Wittman. Gerson has opened for Dave Matthews, Lisa Loeb, The Indigo Girls and Steven Wright. 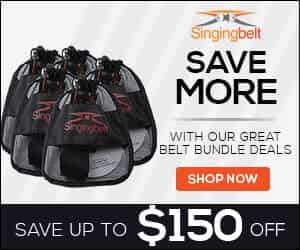 Gerson moved to the Bay Area in August of 2009 and has rapidly become one of the most in-demand vocal coaches in San Francisco and on the Peninsula. The BEST of the best vocal coaches in NYC. She gets exceptional results with singers on all levels. I have been amazed. I recommend her highly whether you are a beginner or a seasoned performer.